Definition at line 42 of file llfloaterchatterbox.h. Definition at line 50 of file llfloaterchatterbox.cpp. References LLUICtrlFactory::buildFloater(), createFriendsPanel(), createGroupsPanel(), FALSE, LLPanel::getFactoryMap(), gUICtrlFactory, LLPanel::mFactoryMap, and NULL. Definition at line 59 of file llfloaterchatterbox.cpp. Definition at line 107 of file llfloaterchatterbox.cpp. Definition at line 113 of file llfloaterchatterbox.cpp. Reimplemented from LLUIInstanceMgr< LLFloaterMyFriends, LLFloaterMyFriends >. Definition at line 87 of file llfloaterchatterbox.cpp. References LLUIInstanceMgr< LLFloaterChatterBox, LLFloaterChatterBox >::hideInstance(), and instanceVisible(). Definition at line 97 of file llfloaterchatterbox.cpp. 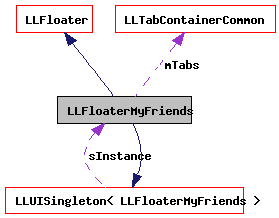 References FALSE, LLUISingleton< LLFloaterMyFriends >::findInstance(), LLTabContainerCommon::getCurrentPanelIndex(), LLUIInstanceMgr< LLFloaterMyFriends, LLFloaterMyFriends >::getInstance(), LLView::isInVisibleChain(), and mTabs. Referenced by LLFloaterVisible::handleEvent(), and hideInstance(). Definition at line 71 of file llfloaterchatterbox.cpp. Definition at line 63 of file llfloaterchatterbox.cpp. References LLUICtrlFactory::getTabContainerByName(), mTabs, and TRUE. Definition at line 77 of file llfloaterchatterbox.cpp. References mTabs, LLTabContainerCommon::selectTab(), and LLUIInstanceMgr< T, INSTANCE_ADAPTOR >::showInstance(). Definition at line 61 of file llfloaterchatterbox.h. 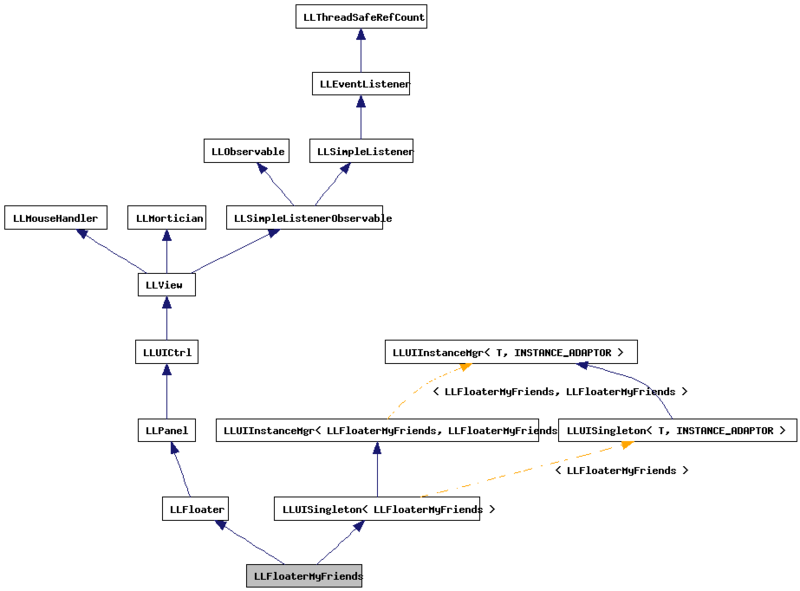 Referenced by instanceVisible(), postBuild(), and showInstance().